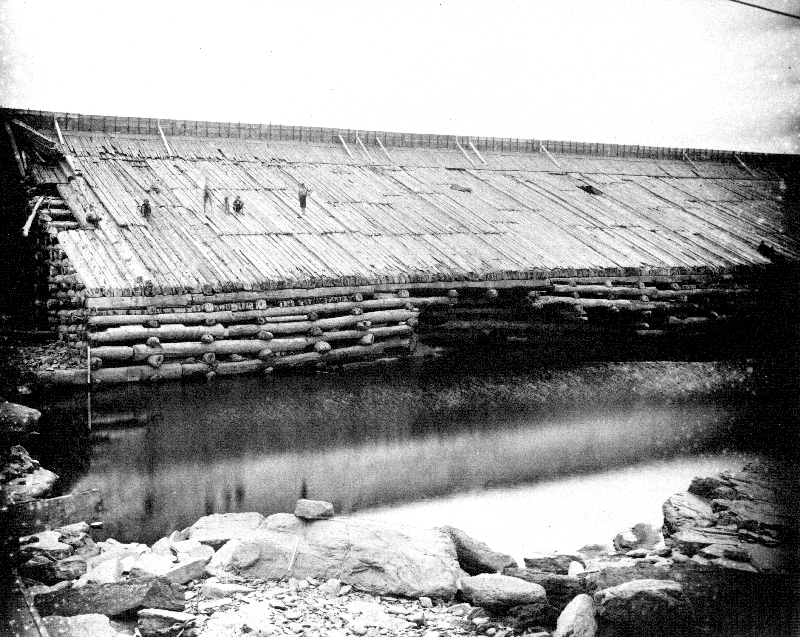 Image of Holyoke’s wooden dam, the first successful structure to harness the Connecticut River for its power-generating potential. Built in 1849, it was replaced by the current stone dam in 1900. In the foreground the water of the Connecticut River cascades over the dam creating hydroelectric power for the city of Holyoke. "New Apron on Wooden Dam," in Creating Holyoke, Item #24, http://creatingholyoke.org/items/show/24 (accessed April 18, 2019).